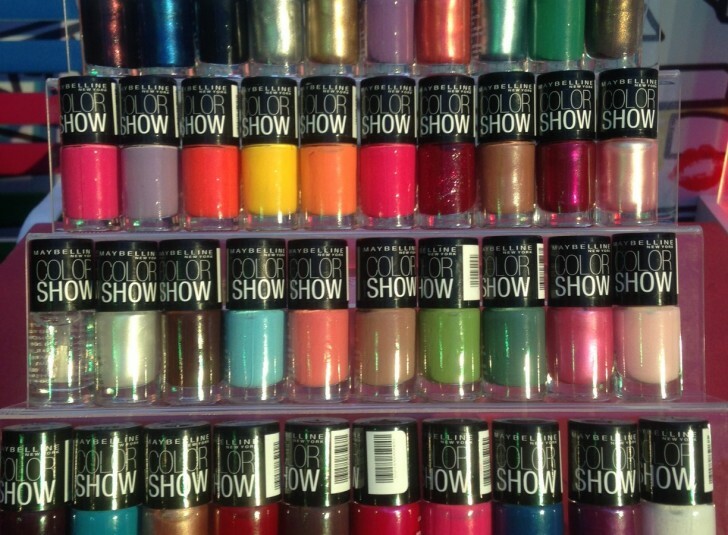 Maybelline is all set to bring about a new nail revolution to India by making nail paints a must have accessory. Maybelline New York India has launched its latest range of nail colours along with the young face of the brand, actress Alia Bhatt. In a colourful October evening at the Phoenix Mills in Mumbai, the actress had unveiled the new range amongst people in the beauty business and some stylish nail fashion. The new collection called ‘Color Show’ has 40 shades in it and true to the brand’s fashionable image, has been launched through an exciting online campaign that introduces each of the 40 shades across 80 days. Maybelline New York India wanted fans to experience a burst of colors, while the range is unveiled on its social media platforms like Facebook, Twitter and Instagram. In a creative campaign executed by Foxymoron, the digital marketing ideas and media solutions agency, fans across these platforms are being treated to a range of shades to match every mood. The beauty brand’s social media platforms took on a new color everyday from edgy metallic to stunning pop shades from the catwalks of New York, with funky names like Downtown Red, Midnight Taupe, Mint Mojito, Lavender Lies and Pink Voltage. Interestingly, while each color was introduced the platforms also shared nail art combinations to go with it, apart from educating fans about how they could get the ‘complete look’ – right from shoes, accessories to match with their preferred shade. For instance, right after Mint Mojito was introduced on the Maybelline New York India Facebook wall, the brand featured a nail art using a combination of Mint Mojito and Choco Sin. This was soon followed by a picture to help fans get the complete look that gelled with Mint Mojito. Fans have also been treated with ‘Do It Yourself’ nail art videos with the latest nail art trends, and encouraged to share their own nail art. The brand has associated with some of the country’s popular beauty bloggers too, and sharing their reviews on the Facebook wall. However, the most useful addition to the ‘Color Show’ introduction is a Facebook application called ‘Nail Art Studio‘ where fans can try all the 40 shades with varied nail art patterns. 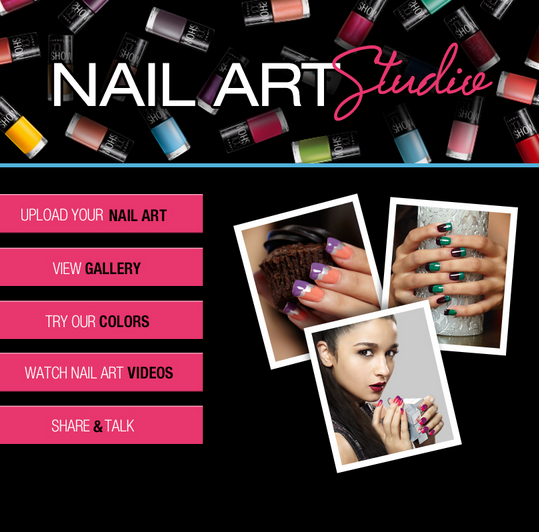 Fans can upload their own nail art, try the colors in the shade, watch videos on nail art or just view the gallery. A ‘Share & Talk’ section encourages them to share their experiences. After browsing through the gallery and being overwhelmed by the variety of nail art uploaded by nail fashion enthusiasts, I decided to try some of the combinations with the given 12 patterns. The cool thing is that apart from being able to share your creation on your Facebook wall, you can also buy the specific shade at the Maybelline online catalog site. However, the nail art DIY tutorials had me hooked on to the Facebook studio for a while! The global townsquare, Twitter has been sharing updates on each of the colours as well. The Maybelline India Twitter page has kept its follower base engaged and involved throughout the activity. Exciting contests on the colours asked followers what they would team it up with, why it is their favourite shade, etc. for a chance to win hampers. Conversations were created around the hashtag #ColorShow. Tell us which is your favorite #ColorShow shade! 2 lucky girls stand a chance to win it. The brand also encouraged the over 2.9 million strong Facebook fan base and the 9.5K Twitter followers to follow it on Instagram. Now the page boasts of more than 1K followers. The launch has made effective use of social media, so much so that a fan is acquainted with almost all 40 shades in ‘Colour Show’ and knows how she can look her best with it. Sharing the various nail art combinations possible with each of the shades and then the kind of clothes and accessories it will go well with, is sure to be of great help to the community. The nail art studio on Facebook together with the DIY tutorials, the conversations on Twitter all help to keep the community involved and fashionable. Besides, the link to buy with each shade will help drive sales too! Apart from the popular mediums like Facebook and Twitter, Maybelline also leveraged the opportunity to build a relevant follower base on Instagram, a relatively unpopular photo-sharing network. The medium could further help the brand to engage with consumers on-the-go in a more visual manner. Besides availing all the information on the new shades, fans were also lured with incentives and giveaways in association with beauty bloggers. In a nutshell, Maybelline has not only created a riot of colors in this cool campaign but also carved a niche for itself in the cluttered space of cosmetics.